Includes: Chicken Primavera * Rosemary Almond-Crusted Pork Tenderloin * Thai Pumpkin Soup * Korean Short Ribs * Oatmeal Breakfast Muffins ... and hundreds more! 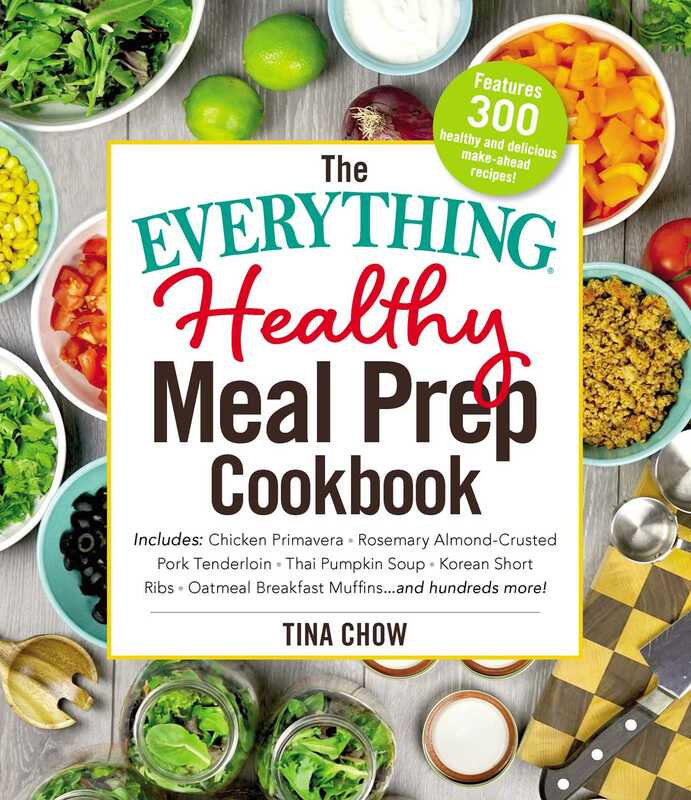 Tina Chow is the founder of the popular Instagram page @FitChicksCook, where she features her weekly meal preps along with tips on healthy eating and quick and easy homemade recipes. After struggling to achieve her fitness goals while working full-time, she began meal prepping on the weekends to save time and stay healthy. Now almost four years later, her fan base has grown to more than one hundred thousand followers. She continues to prep her weekly meals and share her meal plans with the goal of helping others like her achieve their goals. One of her Mason Jar meals was features in the Spring 2017 edition of Hers Muscle & Fitness. She is the author of The Everything Meal Prep Cookbook. "A very useful book. Before jumping into the recipes, the author goes into various tips, how to items, and things overall to help you make meal prepping a success. Unlike most authors, she is very down to earth with her advice, and makes it seem so very simple (a plus for someone busy like me). The recipes themselves are also very easy to follow … a great beginner’s guide to meal prep, making The Everything Healthy Meal Prep Cookbook a great book for any busy foodie." "Chow’s book covers the ins and outs of meal prep … giving you a huge range of options to choose from when planning your meals. Chow’s numerous helpful tips include how long each meal will store well in the fridge to further help with planning."